The observation watches were not worn by the pilots, but by the navigators on board. They used the aviator watch and an octant to determine the exact position of the aircraft. Precision had to be guaranteed at all times, even under extreme conditions. It also had to be easy to read and use under all conditions. In other words: An aviator watch used to be an indispensable companion on board. As authentic replicas of historical Laco aviator watches from the 1940s the current models are characterised by their high precision combined with outstanding design. 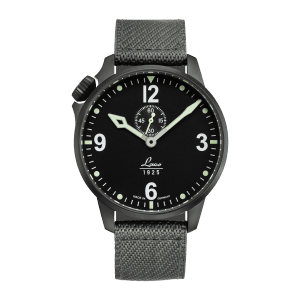 The main characteristics of a Laco aviator watch are, among other things, the iconic watch face, the distinctive onion-shaped crown, the closed leather strap and the surface finish of the casing. Robust aviator watches with distinctive marks that tell a story, are the "heirlooms" of Laco. The unique and intentional signs of wear on the aviator watches attest to their authenticity and an eventful history - and turns each "heirloom" into a high-quality one-of-a-kind item. In other words: a legend that our watchmakers build with devotion - and our customers wear with passion. Considering its turbulent history, the pilot watch was specifically designed and built for the needs on board. The aviator watch was therefore characterised by its robustness, functionality and high readability: it was resistant to shock, vibration and pressure as well as easy and safe to use both day and night. Characteristics that nowadays are of great benefit also in everyday life. Whoever buys a Laco with the classic aviator watch design, can therefore count on their ease of use and good readability.. Pilot watch Model A was created in the 1940s for aviators and is characterised by a simple design with numbered hours. The dial with a large hour circle indicates the numbers 1 to 11. For better readability the model A has a triangle with two points in place of the Arabic numeral "12". The triangle made sure that the wearer of the watch could see the hands at “12” at a glance, even with poor visibility and difficult flight conditions or under stress. These two points also make it easier to precisely set the watch in difficult visibility conditions. Model B aviator watches made the work of early navigators easier. A characteristic of type B aviator watches is the large minute numbers in increments of 5 along the edge. The classic hour division of 1 to 12 is given in Arabic numerals, which are displayed in an additional inner ring. Military aviator watches generally had no manufacturing company logos. Quite simply, this was to prevent additional “useless” elements from affecting the readability and functionality of the watch. 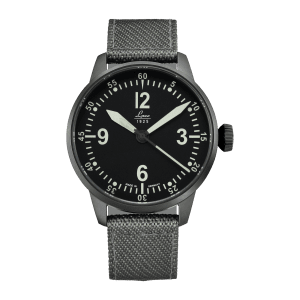 Besides the two classic A and B models, you can also acquire another watch type from us, which combines proven elements with additional practical components: the type C aviator watch. 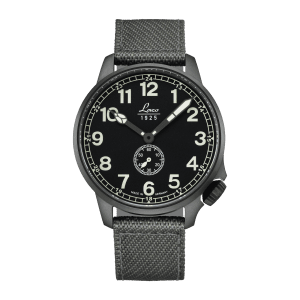 The type C pilot watch combines the characteristics of model A with the special features of a chronograph. The dial displays the Arabic numerals 1 to 11 in a large hour circle, and the usual triangle instead of "12". Type C also has the additional functions of a chronograph, for example, stop seconds, separate, decentralised second hand, or day and date display.  Regardless of model or type, the pilot watch has established itself as a popular watch type. It is often worn as a statement, rather than for functionality. As statement of the original made in Germany.